Of note, in the nearly two years since the application was filed, Page hasn't been charged with any of the allegations contained within it. The previously top-secret document is the first such release by the DOJ in the 40 years since the surveillance law was enacted. In April, the DOJ said they were "processing for potential redaction and release certain [Foreign Intelligence Surveillance Act] materials related to Carter Page,” after watchdog group Judicial Watch and several other organizations filed similar lawsuits. Identity of the target The target of this application is Carter W. Page, a U.S. person, and an agent of a foreign power, described in detail below." "The F.B.I. believes Page has been the subject of targeted recruitment by the Russian government,” the warrant application continues. The document then concludes that Page was allegedly "collaborating and conspiring with the Russian government," which they viewed as probably cause to spy on him - and again, which Page has never been charged with. 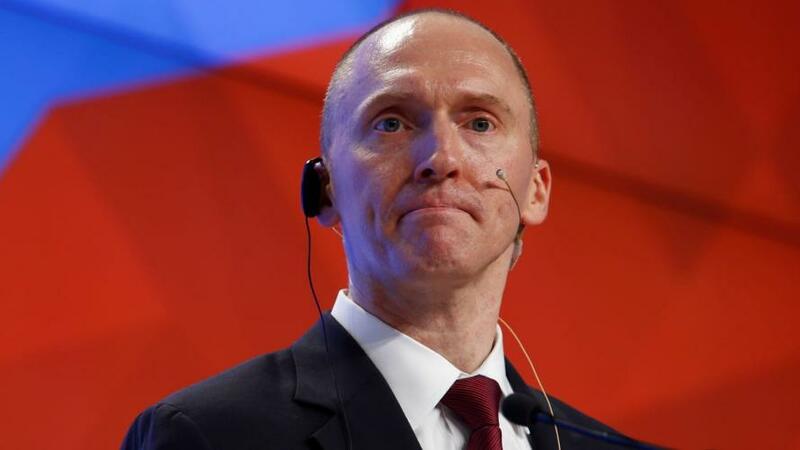 Page - who has repeatedly denied being a Russian spy, said in April that the FISA application was "beyond words," and a "Joke," while claiming that he has never served as an agent for a foreign government. We would also note that he hasn't been charged as one. Page was targeted months earlier by FBI informant Stefan Halper, who formed a relationship with Page and several other Trump aides as part of the Obama administration's active counterintelligence operation on the Trump campaign. While President Trump has characterized the entire counterintelligence operation as a "witch hunt," an increasing chorus of frustrated GOP lawmakers have begun to echo his sentiment, as we are now in month 18 of post-inaugural investigation by the Department of Justice. Shortly after the Times article hit, President Trump tweeted that the "Rigged Witch Hunt, headed by the 13 Angry Democrats" (in reference to Mueller's team), are trying to damage the GOP going into midterms by dragging out their investigation. Among those who signed the FISA applicaition were: James Comey, John Kerry, Andrew McCabe, John Brennan, James Clapper and Susan Rice. Following months of Congressional investigations, GOP members of the House Intelligence Committee released the four-page "Nunes Memo," which concluded that the FBI relied on the largely unverified "Steele Dossier" as their primary source of evidence. To reinforce the dossier, they included a Yahoo! News article written by Michael Isikoff, which used information fed to him by Steele. (Isikoff was "stunned" to hear of this) The FBI has also been accused of failing to notify the FISA judge that the dossier was political in nature. To that end, the FISA application draws directly from page 9 of the Steele dossier, claiming that someone "met secretly with Page and that their agenda for the meeting included Divyekin raising a dossier or "kompromat" that the Kremlin possessed on Candidate #2 and the possibility of it being released to Candidate #1's campaign." "Not withstanding Source1's reason for conducting the research into Candidate1's ties to Russia, based on Source1's previous reporting history with the FBI, whereby Source1 provided reliable information to the FBI, the FBI believes Source 1s reporting herein to be credible"
The FISA application also says that Steele did not directly provide information to Isikoff, which he in fact did. FBI/DOJ telling the FISA court that Source 1 (Christopher Steele) did not "directly provide" information to reporter Isikoff. Meanwhile, as Congressional GOP have argued that this is evidence of malfeasance, House and Senate Democrats have argued that the FISA application also contained evidence unrelated to the dossier, and that the FISA judge was aware of its political nature. I want apologies from every pathetic hack lawmaker and pundit who went out and made it sound like the dossier alone was used to get the Page FISA warrants or that DOJ somehow concealed the source of the info so as to trick the FISA judge.